We hope that you all have a safe and happy holiday season. See you in 2019! Attention Football Players: Please sign up TODAY for basketball concessions on Friday, January 4th. The sign-up sheet is in the weight room. You will be credited with points toward our Winter Warrior Program. See Coach Park or Coach Weldy with questions. If there are any students still interested in the marine biology trip that have not turned in paperwork, please get that to Mrs. Weaver TODAY. Students are also reminded that the second payment is due by TODAY. Intramural basketball signups are now underway! The cost is $5 per player. Money and registration forms have to be turned in by TODAY at the latest in order to participate. Games start on Monday, January 7th. Concussion forms must also be completed, if you do not have one on file for the school year. You can pick up a team, or individual registration form from either the athletic office or Lucas Kauffman. All sophomore student-athletes are encouraged to sign up for the Be the Best Leadership Workshop to be held on January 8th in the auditorium during 2nd period and the 1st session of SRT. The workshop focuses on sportsmanship and how we use integrity to prevent bullying and hazing. Sophomores must sign up in advance by visiting the athletic office and listing your name or by seeing Mr. Kissinger on Mondays during lunch while he is on lunch duty. The Stickley Scholarship is in the guidance office! Applications must be received by Friday, January 18th. This scholarship is for students who intend to study music. It’s based on music ability and dedication rather than financial need. Anyone who is interested in being in Ski Club this year should see Mrs. Clark in room 2280 for an information packet. Please check your 2nd semester schedules. If you have a legitimate issue, please see your SRT teacher for a schedule change form. 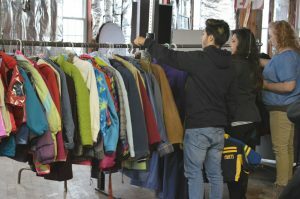 If you need a coat for the winter or know someone who does, stop by the Goshen Schools Administration Building at 613 E. Purl St. from 8:00 a.m.-4:00 p.m. If you are unable to come during that time, call 971-4149 to arrange a time. We will be glad to help you! Attention Seniors: If you haven’t ordered your cap and gown yet, you can order online at https://highschool.herffjones.com. Homework help is available every Tuesday and Thursday in the media center from 3:45-5:00 p.m. You must be in the media center by 3:50 p.m. in order to stay for this, and dismissal times are at 4:30 p.m. and 5:00 p.m. You are expected to exit the building through door FF, which is located by the stairs just down from the media center. A bus will be available around 5:10 p.m. if you need a ride home. This bus is for students who stay for after-hours help ONLY. It will pick you up at the south end of circle drive by the flag pole. This is a great opportunity if you just need a little extra time or even just a quiet place to do your homework at the end of the day. Do you like to run or do you hate it but need to lose weight? Join Running Club! Running Club meets every day in the weight room after school and is open to anyone. It is imperative to dress warmly because we run outside regardless of the weather. If you have any questions, find Mr. DuBois (the math teacher/track coach/cross country coach) in the school. You are under no circumstances allowed to lock your bike up to any fence or gate on school property. There has been a problem with students specifically doing this along the fence/gate to the soccer fields. If you continue to do this, your lock will be cut, and your bike will be removed. There are bike racks available, and they should be used. Thank you for your cooperation with this! Bajo ninguna circunstancia se permite que se aseguren las bicicletas a ninguna reja o puerta de sea propiedad de la escuela. Ya hubo un problema con los estudiantes que específicamente están haciendo esto a lo largo de la reja/puerta del campo de fútbol. Si continúan haciendo esto, el candado será cortado, y la bici será quitada. Hay bastidores para bicicletas disponibles para ser utilizados. ¡Gracias por su cooperación con esto! YOU MUST BE STAYING AFTER SCHOOL FOR SOMETHING TO PARTICIPATE IN THIS – The GHS cafeteria is offering free after school snacks every day after school. This program is for any student who is staying after school. All student-athletes, club members, music participants, drama participants, after school homework help kids, etc. are strongly encouraged to stop by the cafeteria after school and take advantage of this generous opportunity. Students just need to show their ID and they can grab a healthy snack to go that will hold them over during their after school activities until dinner. The cafeteria will stay open until 3:50 p.m. to hand out the snacks. All students picking up the healthy snack after school will need to eat their snack in the cafeteria. We appreciate your cooperation with this adjustment that is mandated by the state of Indiana in order to continue this program. After school, it is expected that all students exit the building by 3:50 p.m. If you have an after school activity, you should report to the sponsor’s room responsible for that activity by 3:50 p.m. You are not to remain in the hallways or commons after 3:50 p.m. Thank you for your cooperation with this request. Free/reduced lunch forms are available in the bookkeeper’s office, in the cafeteria and in guidance. Please pick one up if you need it! Any student driving needs to have a parking tag. You can get this through Mrs. Haney in the Bookkeeper’s office. You need to have a valid license, valid registration, valid proof of insurance (this means that none of these can be expired), and $5. OJ has started tagging vehicles without parking permits, so please make this a priority. You don’t want to be the proud new owner of a big orange sticker. If you are a student that leaves the building at any time during normal school hours then you must have a sticker on your ID if it’s for a class (PACT, Building Trades, EACC, Merit, shortened schedules, Red Zone, internship, yearbook, etc.) that indicates that or a blue pass from the office indicating that you have permission to leave. Building Trades, EACC and Red Zone students are also required to sign out at the Welcome Center before leaving. You can get this sticker in the main office from Mrs. Wolfe or Mrs. Kuiper. Boys freshman basketball won at Concord 25-23. Jordan Williams led the RedHawks with nine points. Boys varsity basketball was defeated by Fairfield in the first round of the Holiday Tournament at North Side gym 53-43. Goshen was led in scoring by seniors Bryant Robinson and Porter Revoir with 16 points each. Boys varsity basketball will play in the Central Holiday Tourney at Northside Gym at 6:00 p.m. Boys JV basketball will host the Goshen Holiday Tourney at 9:00 a.m.
Open play/skills development for boys soccer is open to any student who is interested in playing soccer. You must have a physical on file in the athletic office in order to participate. The last date is TODAY from 8:00-9:30 p.m. in the main gym. If there are any students still interested in the marine biology trip that have not turned in paperwork, please get that to Mrs. Weaver BEFORE Christmas break. Students are also reminded that the second payment is due by TOMORROW. Intramural basketball signups are now underway! The cost is $5 per player. Money and registration forms have to be turned in by TOMORROW at the latest in order to participate. Games start on Monday, January 7th. Concussion forms must also be completed, if you do not have one on file for the school year. You can pick up a team, or individual registration form from either the athletic office or Lucas Kauffman. Creative Writing Club: Our next meeting is TODAY during the 2nd session of SRT in room 2430. We will discuss “Characterization: A Healthy Balance of Cliché and Quirky.” Hope to see you there! Boys freshman basketball will play at Concord at 6:00 p.m. Boys JV and varsity wrestling will host Concord at 6:45 p.m.
Open play/skills development for boys soccer is open to any student who is interested in playing soccer. You must have a physical on file in the athletic office in order to participate. The last date is TOMORROW from 8:00-9:30 p.m. in the main gym. If there are any students still interested in the marine biology trip that have not turned in paperwork, please get that to Mrs. Weaver BEFORE Christmas break. Students are also reminded that the second payment is due by this Friday. Intramural basketball signups are now underway! The cost is $5 per player. Money and registration forms have to be turned in by this Friday at the latest in order to participate. Games start on Monday, January 7th. Concussion forms must also be completed, if you do not have one on file for the school year. You can pick up a team, or individual registration form from either the athletic office or Lucas Kauffman. 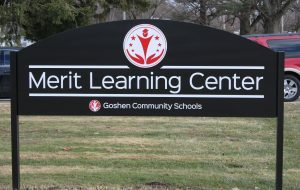 Goshen Schools Administration Building at 613 E. Purl St. from 8:00 a.m.-4:00 p.m. If you are unable to come during that time, call 971-4149 to arrange a time. We will be glad to help you! Creative Writing Club: Our next meeting is TOMORROW during the 2nd session of SRT in room 2430. We will discuss “Characterization: A Healthy Balance of Cliché and Quirky.” Hope to see you there! Girls varsity basketball lost a battle to the Lady Cougars of Central Noble 37-33. The Lady RedHawks were led by Maggie Gallagher with 12 points, Megan Gallagher with eight points, Regan Mast with seven points, and Brynn Shoup-Hill added six points. The team falls to 7-7 on the season and 1-2 in the Northern Lakes Conference. The JV Lady RedHawks defeated the Central Noble Cougars by a final score of 46-26. 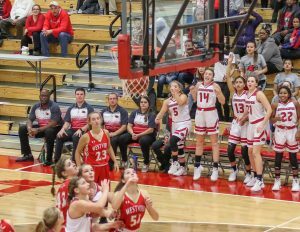 Every player contributed in the scoring for Goshen, as they were led by freshman Tori Eldridge with 16 points, and junior Hannah LaFary with 11 points. Open play/skills development for boys soccer is open to any student who is interested in playing soccer. You must have a physical on file in the athletic office in order to participate. The last date is Thursday from 8:00-9:30 p.m. in the main gym. Women’s Empowerment Club will meet TODAY during the 2nd session of SRT in room 2060. Creative Writing Club: Our next meeting is Thursday during the 2nd session of SRT in room 2430. We will discuss “Characterization: A Healthy Balance of Cliché and Quirky.” Hope to see you there! The girls basketball C team won 21-13 on the road against the Lady Cavemen of Mishawaka. The RedHawks were led by Brooklynn Collins with seven points, Jazmine Pena with five points, Kylee Yoder with four points, Trinity Nemeth with three points, and Cloe Collins added two in the win. Thank you to all our RedHawk fans that made the trip to support the team! The boys and girls JV and varsity swim and dive teams will travel to Northwood at 5:00 p.m. to compete against Westview and Northwood. Girls basketball will play at Central Noble. JV tips off at 6:00 p.m., followed by varsity at 7:30 p.m.
At the recent Indiana Association of Public School Superintendents (IAPSS) annual meeting, Superintendents of the Year were announced for each of the eight IAPSS districts. 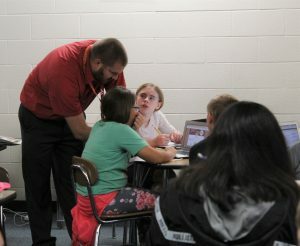 Goshen Community schools is a member of District II, along with 36 other school districts in Northern Indiana. 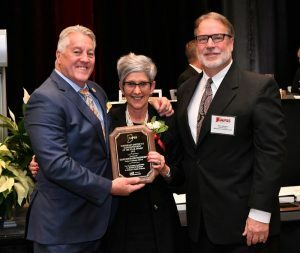 Out of all the quality school superintendents and school corporations represented in District II, Goshen’s superintendent Dr. Diane Woodworth was chosen by her peers as the IAPSS District II Superintendent of the Year. Dr. Woodworth was selected, in part, for her direction and leadership of the Goshen school corporation. 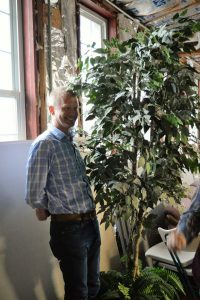 Congratulations, Dr. Woodworth! The IAPSS was established in 1960, based upon this premise: The public interest is best served through assuring the availability of a quality education for all children; and knowledgeable, ethical, effective leaders are essential to achieving this educational excellence. 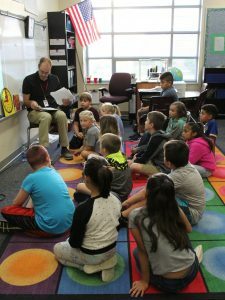 IAPSS is a non-profit, professional association serving 425 members, including superintendents and other school administrators, professors of education, university students studying educational administration, and retired superintendents. 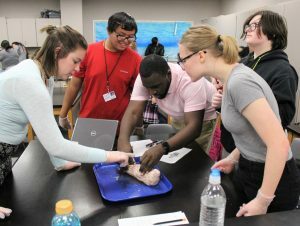 Professional development activities are targeted at improving the educational process, promoting the efficient operation of schools, and developing new superintendents. Association meetings provide a forum for discussion of a variety of educational issues between members and state and national experts. Girls C-team basketball players lost to Fairfield 28-14. Trinity Nemeth led the scoring with eight points, followed by Brooklynn Collins with four points, and Estrella Manzano with two points. The JV Lady RedHawks were defeated by Northridge 27-45. The shorthanded Goshen team was led in scoring by junior Hannah LaFary and freshman Tori Eldridge with six points each. Freshman Maddie Garber also had five points. Girls varsity basketball lost to Northridge 45-35. The boys JV basketball team was defeated by Northridge in OT 50-42. Goshen was led in scoring by freshman Anders Revoir with 12 points. Boys varsity basketball lost their NLC opener to Northridge 49-42. The RedHawks were led in scoring by Bryant Robinson with 19 points. The C team for girls basketball will play at Mishawaka at 6:00 p.m. Good luck ladies! The Lilly Endowment, Inc. and the Community Foundation of Elkhart County are proud to honor nine outstanding students in Elkhart County. 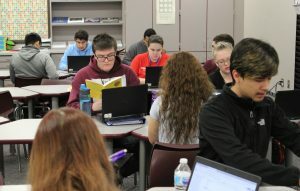 Three students from Elkhart County will receive Lilly Endowment Community Scholarships (LECS) entitling them to full tuition, fees and $900 a year for required books and equipment to any accredited public or private nonprofit college or university in Indiana. The selected students are: Lisa Hochstetler, Northridge; Claire Mumaw, Fairfield; and Alexa Porter, Concord. In addition, the Community Foundation is also proud to award the Guy David Gundlach Memorial Scholarship to the following six students: Danyelle Adams, Jimtown; Margot Cruz-Portillo, Elkhart Memorial; Melissa Daniels, Goshen; Claire Hershberger, Clinton Christian; Jaycee Rossi, Elkhart Central; Otto Schlatter, NorthWood. Each of these students will receive $5,000 per year for four years to any accredited Indiana college or university. 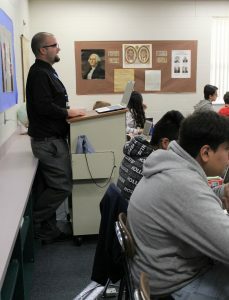 This memorial scholarship is only one of the many positive initiatives established due to Mr. Gundlach’s gift in 2011. Since the inception of the scholarship, 37 Elkhart County students have received this $20,000 award. 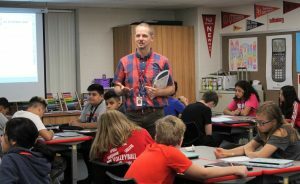 Each of the eligible high schools in Elkhart County selects one nominee evaluated based on academic performance (including grades and course load), extra-curricular and civic involvement, work experience, career goals, unusual circumstances, interview and an essay. 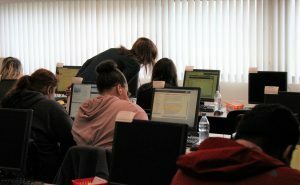 “After the Community Foundation scholarship committee received the nominee applications, names were removed from the application and the applications were scored (excluding the essays) by the Community Foundation Career Pathways Committee and staff,” Amanda Jamison, Community Foundation Senior Program Officer, explains. 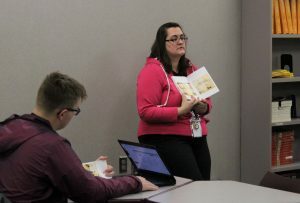 “The ‘blind’ essays were then scored by Goshen College professors, the scores tallied and the field narrowed to the top five nominees. 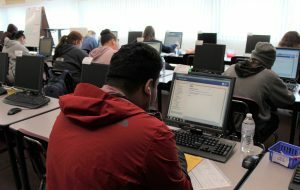 The finalists’ names were submitted to the Independent Colleges of Indiana, Inc. (ICI) for final review and selection of the final three recipients.” ICI is a nonprofit corporation that represents 30 regionally accredited degree granting, nonprofit, private colleges and universities in the state. 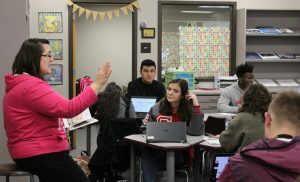 The Lilly Endowment Community Scholarships are the result of a statewide Lilly Endowment initiative to help Hoosier students reach higher levels of education. Indiana ranks among the lowest states in the percentage of residents over the age of 25 with a Bachelor’s degree. 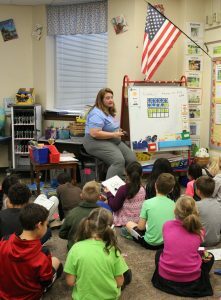 The program, now in its 22nd year, has awarded 85 LECS to students in Elkhart County and 4,626 state-wide, thus far providing more than $392 million dollars in tuition scholarships since inception. 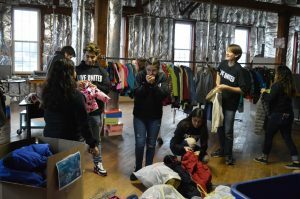 Community Foundation of Elkhart County partners with donors to leverage their philanthropy in ways that transform lives. 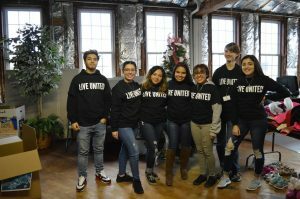 Since 1989, the Community Foundation has connected the generosity of donors with community needs by providing scholarship opportunities to local students and making grants to nonprofit organizations working to improve Elkhart County. It’s with strength and hope the Community Foundation seeds the local landscape, supporting plans, programs, and ideas that potentially stand the test of time. The Community Foundation strives to be a local entity known for inspiring good and impacting success. We are back after a brief hiatus with a new Superintendent Step-In. 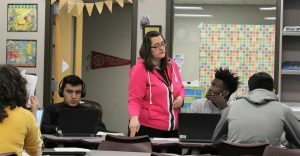 This week’s Step-In finds Dr. Woodworth flexing her math muscles in Todd Kirkton’s IB Math Studies course at Goshen High School. Margaret Gallagher: Maggie is the daughter of Kim and John Gallagher. Maggie was Academic All-State in soccer and track. Maggie is a scholar athlete in basketball, soccer, and track. 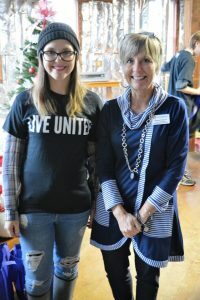 She is a student Rotarian with the Rotary Club of Goshen. This fall, she was the captain on the soccer team. She was Honorable Mention all NLC for soccer and track her junior year and NLC All Conference in soccer her senior year. Maggie is a member of Women’s Empowerment Club, Student Council, Student Athletic Council, and National Honor Society. After high school, Maggie plans to study Psychology and eventually have a career in Clinical Psychology. Bryant Robinson: Bryant is the son of Tamara and Bill Robinson. Bryant participates in Baseball and Basketball. Bryant has received the 3.7 or Higher Honor Award, NLC Honorable Mention, and is a member of the National Honor Society. He is a 3 year letter winner in basketball. Bryant is a member of 4-H and participates in a travel Basketball program. After high school Bryant hopes to attend Ball State University majoring in Marketing. The Goshen High School community is saddened today after learning about the death of 2017 GHS graduate Hank Miller. Our thoughts and sympathies are with Hank’s family and friends during this difficult time. GHS counselors are available for any students who wish to talk about or process the untimely passing of this former GHS student, teammate, section leader, brother, and friend. 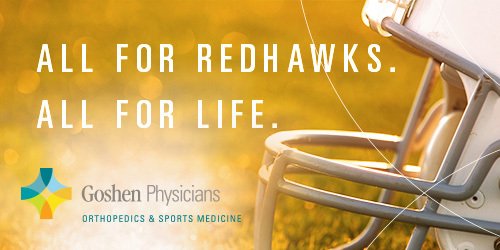 Winners will be announced TODAY for the 12 Ways to Win promotion offered at the Interra Credit Union RedHawks Branch. Thank you to everyone who participated! Open play/skills development for boys soccer is open to any student who is interested in playing soccer. You must have a physical on file in the athletic office in order to participate. The last date is Thursday, December 20th from 8:00-9:30 p.m. in the main gym. If there are any students still interested in the marine biology trip that have not turned in paperwork, please get that to Mrs. Weaver BEFORE Christmas break. Students are also reminded that the second payment is due by December 21st. Intramural basketball signups are now underway! The cost is $5 per player. Money and registration forms have to be turned in by December 21st at the latest in order to participate. Games start on Monday, January 7th. Concussion forms must also be completed, if you do not have one on file for the school year. You can pick up a team, or individual registration form from either the athletic office or Lucas Kauffman. Creative Writing Club: Our next meeting is Thursday, December 20th during the 2nd session of SRT in room 2430. We will discuss “Characterization: A Healthy Balance of Cliché and Quirky.” Hope to see you there! Girls basketball C-team lost their staff night game 50-8 against Northridge. Brooklynn Collins led the team in scoring with seven points. The C team for girls basketball will play at Fairfield at 6:00 p.m. Girls basketball will host Northridge. JV tips off at 6:15 p.m., followed by varsity at 7:45 p.m. Boys basketball will travel to Northridge. JV tips off at 6:15 p.m., followed by varsity at 7:45 p.m.
Over the course of this first semester, we have shown you some of the things students are learning and doing in each grade. 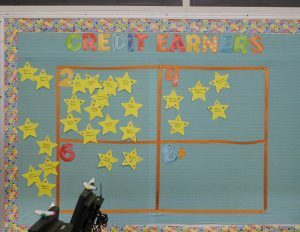 We have shown the progression in the degree of difficulty of the coursework for each next/new grade. 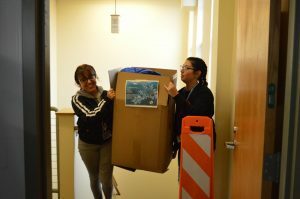 We have shown how many opportunities there are for students traveling the normal, or usual, pathways offered at GCS, and we have shown that there are alternative pathways for students who may need something different during their educational journey. 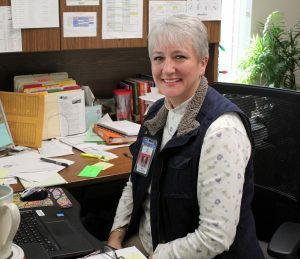 We hope that you have enjoyed this look at GCS, and that you have seen and understood all that our teachers and staff members do to help the students at GCS grow and mature. 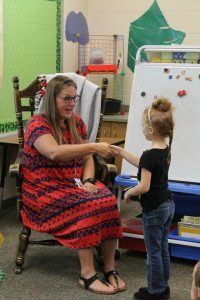 From Pre-K and kindergarten to 12th grade, our staff focuses on living out the mission of Goshen Community Schools for all of our students: Inspiring Innovation…Empowering Potential…Enriching our World. 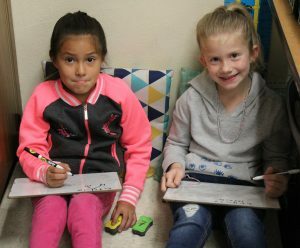 We want each student in our care to feel that they are in the exact, best place for them to learn, to grow, and to be successful well after the day that they leave our school system. 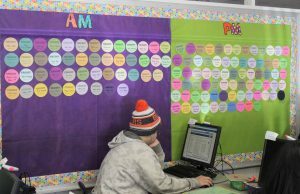 Our staff works hard to stay on the cutting-edge of all that public education has to offer, by scheduling quality professional development within each school building each week. 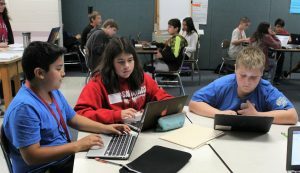 Additionally, teachers and administrators travel across the country to keep abreast of new programming and to collaborate with leaders in education. Our staff does all of this so that we may offer the most innovative programs available, and so that we can meet the needs of all learners. 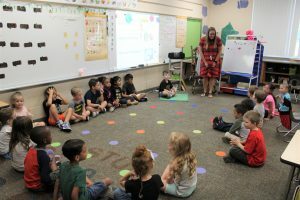 After visiting classrooms throughout the district, we think that you would find truth in the fact that at GCS our number one value is that “Relationships Matter”. Our teachers genuinely care about their students, and they do whatever they can to help students be successful, in academics and in life. Each year, we send our seniors out into society, knowing that they will truly enrich our world. We have living proof! Our graduates are doctors, teachers, plumbers, scientists, nurses, electricians, social workers, managers, accountants, policemen and women, administrative assistants, manufacturing technicians, physical therapists, chefs, business owners, professional musicians, construction workers, firemen, lawyers, coaches, IT specialists, paralegals, mechanics, travel agents, marine biologists, wastewater operators, EMTs, software developers, yoga instructors, and so much more! 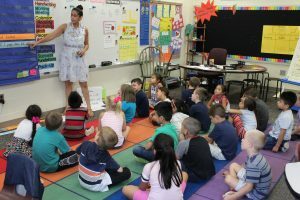 At GCS, our goal is for all of our students to grow and mature during their educational years with us, so that they are ready for whatever their futures may hold. 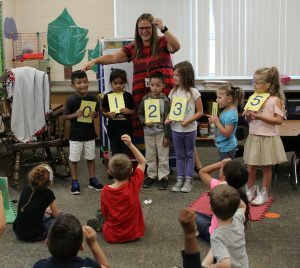 So if your kindergarten student (like the one below) is just learning how to properly greet people and how to be a part of the school community, or if your senior is one of the speakers at graduation (pictured below); please know that GCS values your student(s) and is working hard to help them learn, grow, and succeed! 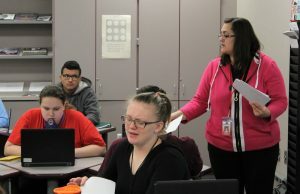 We recently visited Britney Charles’ English 12 class to see what her seniors were doing. 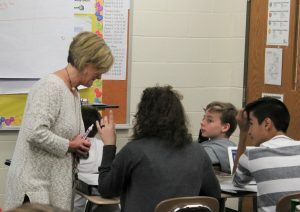 When we arrived in her classroom, Ms. Charles was explaining to her students where they could find the study guide for their upcoming final exam. 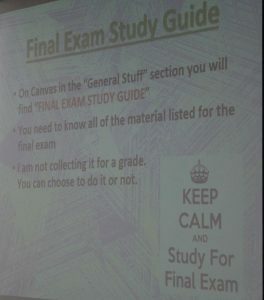 She said, “I will not be grading it, but if you do the work, it will definitely help you with the final exam, because all of that stuff will be on the exam next week.” On her information for the Final Exam Study Guide was a small sign/suggestion that said Keep Calm and Study for Final Exam. 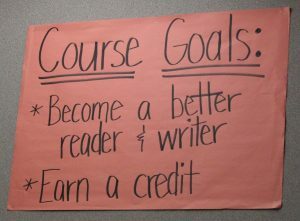 There was also a sign on the wall with a couple of very concise course goals: Become a better reader and writer, and Earn a credit. Great (and necessary) goals for GHS seniors! 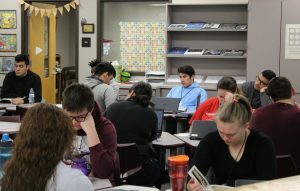 Ms. Charles stated that the class had just finished reading a graphic novel, American Born Chinese by Gene Luen Yang, and that they were going to discuss the book as a class and then spend some time working on a related writing assignment. Although graphic novels may be foreign to many adults, this book sounded intriguing. The book is about three very different characters with one simple goal; to fit in. Much of the discussion was about “stereotypes and what we expect from different people” and the character finally “acknowledging and accepting his Chinese-American heritage”. One of the character’s favorite toys was a transformer, to which one of the students said “maybe his favorite toy is a transformer because it symbolizes his transformation through the book.” They also considered the fact that some of the characters were exposed as being someone other than who they presented themselves to be when their masks came off at the end of the book. 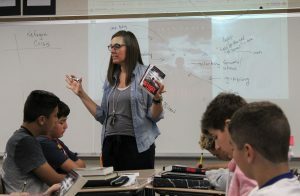 There were some students who were more engaged in the discussion than others, and who had pretty obviously enjoyed the book, because they frequently offered thoughts, ideas, and opinions to Ms. Charles’ questions. The student in the first picture below seemed especially knowledgeable about the book and the ideas and themes running through it. Next, Ms. Charles handed out a paper with four writing prompts on it. 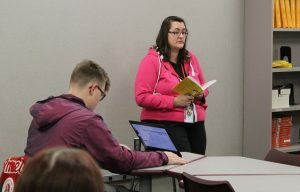 She noted that the assignment was already on Canvas (the program through which students and teachers communicate regarding course assignments), and that some students may have already made a copy of it from Canvas. 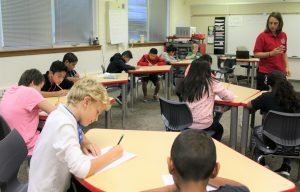 From the four writing prompts, the students were instructed to choose one prompt from which to write their essay, and begin writing using the OEA (Observation, Evidence, and Analysis) guide. “Once your observation sentence is done let me check it with you, and then you can begin to work on evidence and analysis.” Ms. Charles also noted that “the rubric I will use to grade your essay is also on Canvas”. She encouraged the students to look at the rubric if they wanted to know what points she would be looking for in their essays. As the students worked on their observation sentences, Ms. Charles went around to give the students feedback and suggestions for refinement, so that they would be able to base their essay on a good, solid start. 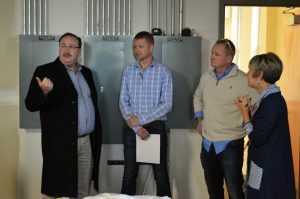 Following our visit to GHS, we went to Merit Learning Center, one of the GCS alternative learning centers. 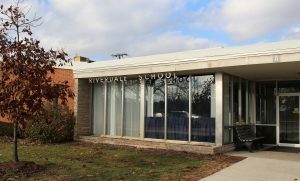 Merit is located in the old Riverdale School, which many longtime Goshen residents will remember as one of Goshen’s former elementary schools. Mrs. Kim Gallagher is in her second year as the principal at Merit, and new to Merit this year, but now new to GCS, is the counselor, Viratham Mounsithiraj. 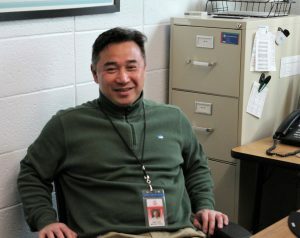 Mr. Mounsithiraj, or “V” as he is called by many, has been the GHS boys soccer coach for a number of years, and came to Merit with a background in school counseling and social work. 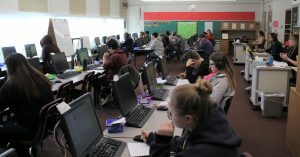 Mrs. Gallagher said that there are approximately 200 students enrolled at Merit, and of those 200, Goshen schools has 115 of the “spots”. 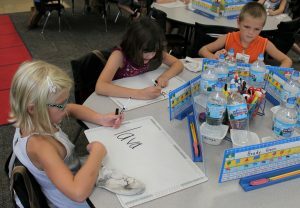 The numbers or “spots” beyond the 115 Goshen students are filled by students from other school systems within the county. Most of the students are classified as juniors and seniors, but there are some sophomores, and even a few freshmen. 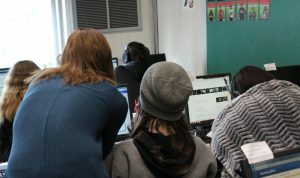 Merit offers an online learning curriculum, with certified teachers to support and assist the students. There is a morning session from 8:00-11:00 a.m., and an afternoon session from 12:00-3:00 p.m. 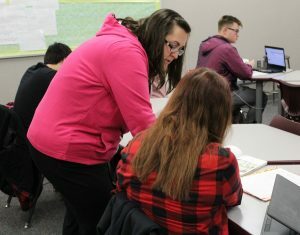 This year, Merit is also offering Night School to adults who wish to return to school to get their high school diploma. 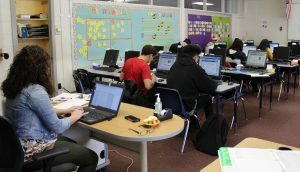 The students, mainly ranging in ages 19-25, may attend school on Monday-Thursday evenings from 5:00-9:00 p.m. to work on the online curriculum with supervision from certified teachers. 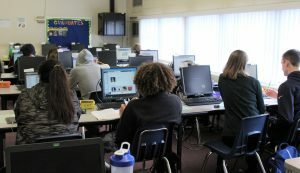 When we entered the first classroom, or Lab 1, the students were all working quietly on their computers. 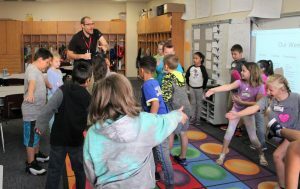 When they had questions or issues with their technology, they simply raised their hands and one of the teachers in the classroom got up to help them. According to the teachers, they all help all of the students. 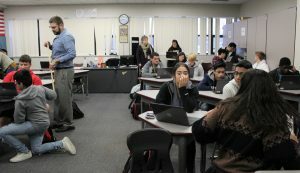 However, the teachers all have subjects with which they are more familiar, and if a student is asking about Algebra II or Science, then the teacher with the most expertise in that area will likely be the one to help with those questions. 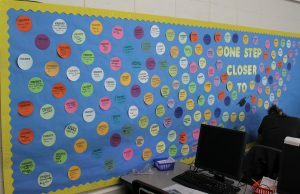 All around the school and in the classrooms are reminders of just how many credits the students have earned, and how many have finished and are ready to graduate. 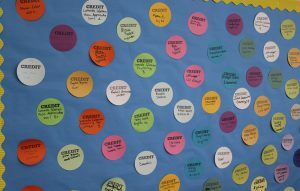 Their names and the class in which they earned the credit are listed on each post, and the collage of credits just keeps growing around the rooms. Students can take all of the core subjects required for graduation at Merit, and they can also get most of the elective classes there as well. 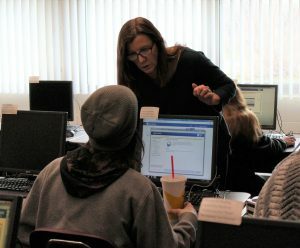 Merit also offers such courses as Personal Finance and College and Careers. 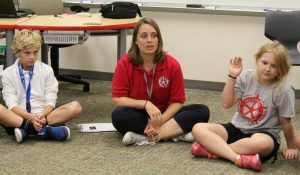 Merit also offers P.E., which is taught partially through “Service Learning” on two Wednesdays per month. 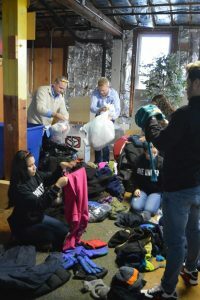 During service learning, students may go to such places as Ox Bow Park to clear trails, they may work for the Habitat for Humanity ReStore helping to move inventory, or they may volunteer at other agencies such as The Window, LaCasa, Church Community Services, and Love Way. Otherwise, their P.E. 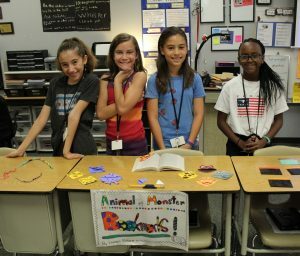 class sessions consist of swimming at GMS, yoga at Merit, walking in the school’s neighborhood, and going to The Post to lift weights, among other physical activities. 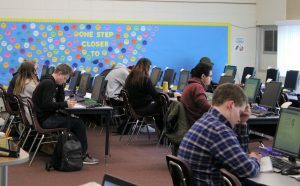 Besides supervising the students as they work on independent courses, the teachers are helping students to become more efficient online learners, and teaching them strategies to assist students in their work. 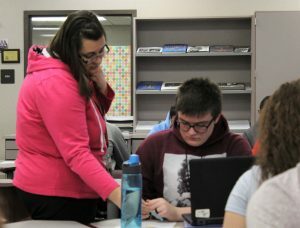 Merit teacher Stephenie Ward stated that the Merit teachers have been working together in their Cluster and in Professional Development to find new ways to support and assist students as they work on online courses. 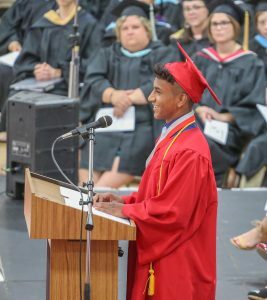 And, as always, “we are building relationships with the students, to encourage and support them” with things such as attendance issues, motivation to finish their high school degree, family issues, stress, and possible anxiety issues. As seniors, the students as GHS and Merit are moving toward the end of the educational experience at GCS. They have learned the skills that GCS works to instill in all 12th grade learners: Strong fundamental academic knowledge and preparedness for tests such as the SAT and ACT, Personal and social skills needed for further education or the workplace, Future life direction determined with plans in place to achieve personal goals, Interaction and engagement with the community, and Effective communication and advanced technology skills. 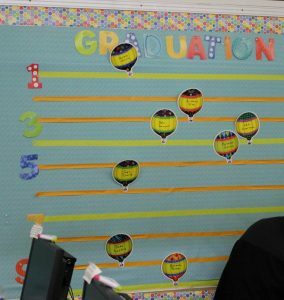 By the time GHS students graduate (which includes Merit students), they may have had up to 13 years with GCS; years full of encouragement, support, motivation, academic growth, opportunities and social maturation. The seniors are ready for whatever plans that they, along with the influence of their families, have made. We hate to see our seniors leave GCS! 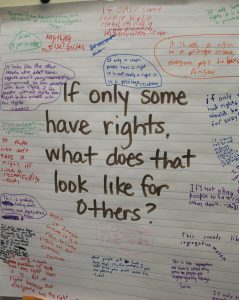 But, we are always excited to see the ways in which they will leave their positive imprint on our society. They have grown, and they will be ready. 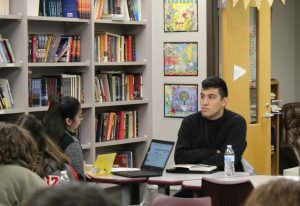 Student Faculty Senate meets at 7:45 a.m. TODAY in the media center. All club sponsors are expected to attend with club members more than welcome. Open play/skills development for boys soccer is open to any student who is interested in playing soccer. You must have a physical on file in the athletic office in order to participate. Dates are TODAY, as well as Thursday, December 20th from 8:00-9:30 p.m. in the main gym. Winners will be announced TOMORROW for the 12 Ways to Win promotion offered at the Interra Credit Union RedHawks Branch. Thank you to everyone who participated! Stay In Bounds Ambassadors have their December planning meeting TODAY during the 2nd session of SRT in the main gym. All ambassadors are expected to be in attendance if you are going to make your visit on integrity. The C team for girls basketball will host Northridge at 6:00 p.m. The boys freshman basketball team will host Northridge at 7:15 p.m. Boys JV and varsity wrestling will compete at Northridge at 6:45 p.m. Hurry! TODAY is the last day to enter in the 12 Ways to Win promotion at the Interra Creit Union RedHawks Branch! Remember, you could win gifts cards to the movies, Hacienda, and Honey’s! Winners will be announced on Friday. See Martha and Tricia at the Interra kiosk in the commons to get all the details! Attention FCA Members: Our next meeting is TODAY at 7:35 a.m. Please plan to attend. We will discuss our Adopt-A-Family event and another great message from Mr. Hutcherson! Student Faculty Senate meets at 7:45 a.m. TOMORROW in the media center. All club sponsors are expected to attend with club members more than welcome. Open play/skills development for boys soccer is open to any student who is interested in playing soccer. You must have a physical on file in the athletic office in order to participate. Dates are TOMORROW, as well as Thursday, December 20th from 8:00-9:30 p.m. in the main gym. Stay In Bounds Ambassadors have their December planning meeting TOMORROW during the 2nd session of SRT in the main gym. All ambassadors are expected to be in attendance if you are going to make your visit on integrity. The JV boys basketball team was defeated by South Bend Clay 43-37. The RedHawks were led in scoring by Blak Weiss. Boys varsity basketball defeated South Bend Clay 58-47. The RedHawks were led by seniors Bryant Robinson with 21 points and 11 rebounds, and Porter Revoir with 14 points and nine rebounds. Attention Seniors: If you haven’t ordered your cap and gown yet, this will be the last chance before the price goes up! Herff Jones will be back to take graduation orders and deliver class rings TODAY during SRT and lunch. You can also order online at https://highschool.herffjones.com. You snooze, you lose! Make sure to stop by the Interra Credit Union RedHawks Branch during lunch time and take part in the 12 Ways to Win. You only have one more day to enter, so come see us TOMORROW! You will have a chance to win gifts cards to the movies, Hacienda, and Honey’s! Winners will be announced on Friday. See Martha and Tricia at the Interra kiosk in the commons to get all the details! Attention FCA Members: Our next meeting is TOMORROW at 7:35 a.m. Please plan to attend. We will discuss our Adopt-A-Family event and another great message from Mr. Hutcherson! Student Faculty Senate meets at 7:45 a.m. this Thursday in the media center. All club sponsors are expected to attend with club members more than welcome. Open play/skills development for boys soccer is open to any student who is interested in playing soccer. You must have a physical on file in the athletic office in order to participate. Dates are Thursday, December 13th and Thursday, December 20th from 8:00-9:30 p.m. in the main gym. Stay In Bounds Ambassadors have their December planning meeting this Thursday during the 2nd session of SRT in the main gym. All ambassadors are expected to be in attendance if you are going to make your visit on integrity. Boys basketball will host South Bend Clay. JV tips off at 6:30 p.m., followed by varsity at 8:00 p.m. Boys JV and varsity wrestling will compete at Northwood at 6:45 p.m.
Attn: Seniors – If you haven’t ordered your cap & gown yet, this will be the last chance before the price goes up! Herff Jones will be back to take graduation orders & deliver class rings TOMORROW during SRT & lunch. You can also order online at https://highschool.herffjones.com. You snooze, you lose! Make sure to stop by the Interra Credit Union RedHawks Branch during lunch time and take part in the 12 Ways to Win. You only have one more day to enter on Wednesday. You will have a chance to win gifts cards to the movies, Hacienda, and Honey’s! Winners will be announced on Friday, December 14th. Check it out, and enter today! See Martha and Tricia at the Interra kiosk in the commons to get all the details! Attention Seniors: If you haven’t ordered your cap and gown yet, this will be the last chance before the price goes up! Herff Jones will be back to take graduation orders and deliver class rings on Tuesday, December 11th during SRT and lunch. You can also order online at https://highschool.herffjones.com. Attention FCA Members: Our next meeting is Wednesday, December 12th at 7:35 a.m. Please plan to attend. We will discuss our Adopt-A-Family event and another great message from Mr. Hutcherson! For the month of December only, you can purchase the 2019 yearbook at www.jostensyearbook.com for only $40! Senior ads for the 2019 yearbook are available on the Jostens website under personal ad, and the beginning cost is $35. A shorthanded girls JV basketball squad lost to Wawasee 26-33. The Lady RedHawks were led in scoring by junior Hannah LaFary with 12 points, and freshman Tori Eldridge with eight points. Girls varsity basketball won on the road 54-22 vs. NLC opponent Wawasee. The Lady RedHawks led 18-10 at halftime, but exploded in the 3rd quarter outscoring Wawasee 23-6 behind a 13 point quarter by sophomore Brynn Shoup-Hill. The sophomore ended with a game high 20 points to lead all scorers, and junior Lizzy Kirkton added nine points. The RedHawks saw several girls that contributed in the win. The Lady RedHawks improve to 6-5 on the season and 1-1 in the Northern Lakes Conference. The Goshen Lady RedHawks took on Warsaw and Elkhart Memorial at the Goshen Aquatics Center. Goshen was led by 2nd place finishers Ellie Walters, Makala Saeger, Eve Miller, and Rachel Cox in the Medley Relay. Lauren Murphy won diving against Memorial and placed 3rd against Warsaw. The boys swim and dive team took on Warsaw and Elkhart Memorial at the Goshen Aquatics Center. Goshen was led by 1st place finishers Gabe Goertz, Nick Zehr, Dylan Steury, and Mason Schrock. Drew Sweetser contributed with multiple 2nd and 3rd place finishers in the meet. Johnathon Synder won diving against both Warsaw and Elkhart Memorial. A still shorthanded girls JV basketball squad lost a hard fought game to the Lady Eagles of John Adams by a final score of 40-43. They were led in scoring by junior Hannah LaFary with 18 points, freshman Tori Eldridge with eleven points, and sophomore Noemi Vela with five points. The boys JV basketball team was handed their first loss of the season by South Bend St. Joseph 43-23. Goshen was led in scoring by Jarah Byler with 12 points. Boys varsity basketball defeated South Bend St. Joseph 46-41 to pull their record to 2-2. Goshen was led in scoring by Bryant Robinson with 15 points, and freshman Drew Hogan added eleven. Girls varsity basketball won 42-19 at home against the visiting Lady Eagles of South Bend. The Lady RedHawks were led by Regan Mast, Maggie Gallagher, and Brynn Shoup-Hill who all had ten points, Haley Mast with five points, Megan Gallagher with three points, and Lizzy Kirkton and Tori Eldridge with two points. The RedHawks improved to 7-5 (1-1) on the season. The boys and girls JV/varsity swim and dive teams will travel to Mishawaka at 5:00 p.m. Good luck to all of you! Following tonight’s (12/6/18) Girls C-Team Basketball game, Goshen Coach Shaun Hill noticed I was folding up and putting away the team bench chairs. He immediately began to help and also had some of his managers help as well. They even moved down and helped put away chairs on the Concord team bench too! If this small act is indicative of how Coach Hill runs his program and teaches his kids, the Girls Basketball program at Goshen is in great hands! This small act of assistance was much appreciated and left a very good impression of Goshen High School! 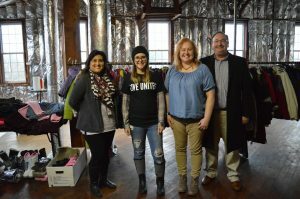 Goshen Community Schools and Lippert Components have joined forces for the last couple of years to hold a United Way coat drive for the students and families of Goshen. 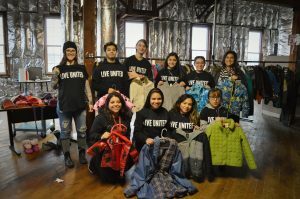 And again this year, employees from GCS and Lippert, along with other local business and families, donated coats, hats, mittens, boots, and snow pants. 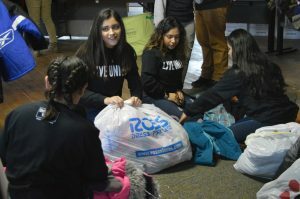 Once the drive ended, different student groups from GHS head over to the GCS Administration Center to help sort everything out according to sizes. 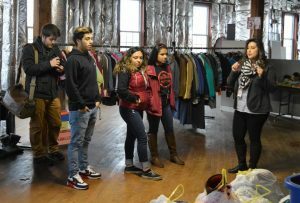 The coat drive is coordinated by the GCS Registrar, Mrs. Stella Garcia. 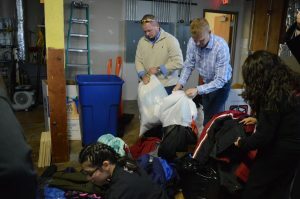 The warm winter clothing will be available for families on Monday, December 10th. Families should simply see Mrs. Garcia in Central Registration in order to select what they need. 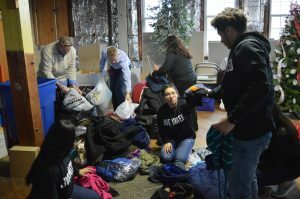 If people still want to donate or if they have questions, they should call 574-971-4149 and speak to Stella Garcia. 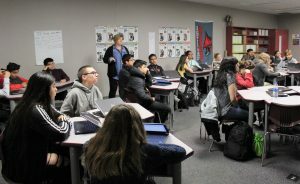 Mrs. Garcia is pictured below, giving instructions to the students. 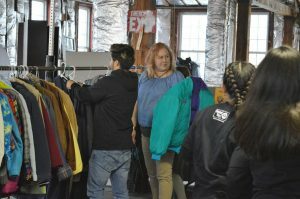 The coats from around the district and from Lippert needed to be carried upstairs to the store room. And then the task of sorting began. 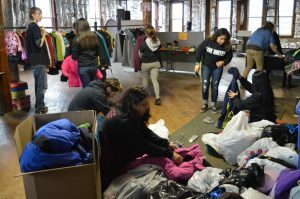 A huge THANK YOU to the GHS Multi-Cultural Youth Alliance (MYA) and their sponsor Gaby Tovar for helping with this year’s coat drive. United Way President Bill Rieth, Lippert representatives Jared Wilson and Toby Crowley, and Assistant Superintendent Tammy Ummel. 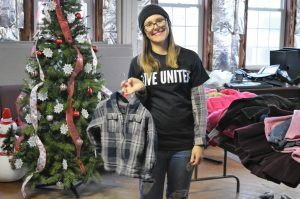 GCS/United Way Volunteer Coordinator Sharon Sarber, pictured below, also helped with the effort. DeAnna Spencer, from Lippert, and Mrs. Ummel. Stella Garcia, DeAnna Spencer, Sharon Sarber, and Bill Rieth. 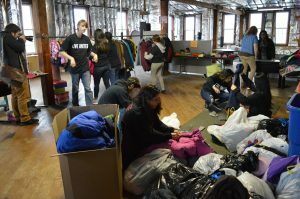 Thank you to all who donated articles of clothing to provide warmth for their neighbors. 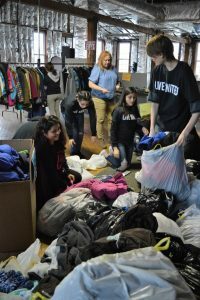 Our community of Goshen is a caring, giving community!